Fontana Regional Library offers access to streaming videos for all ages, for a variety of devices, and from a variety of sources. Fontana Regional Library patrons can access our Kanopy Streaming Video Library which contains over 30,000 movies and documentaries, including must-see indie films and classic cinema, that you can stream on your computer or device using the Kanopy app. 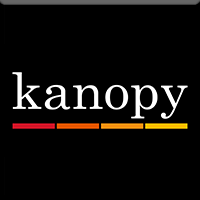 Find the free Kanopy app in the App Store on your device and login. Start Streaming! You can find videos by subject or search to filter by filmmakers, date, language, captioning and more. Kanopy Kids highlights films and TV series that help children develop empathy, mindfulness, and self-esteem through entertaining and educational videos. We’ve partnered with Common Sense Media™ to provide developmentally appropriate age ratings for videos on Kanopy Kids. In addition to Common Sense Media’s developmentally appropriate, age-based ratings, Kanopy Kids features parental controls to help keep kids safe. Our main catalog is inaccessible in Kanopy Kids—viewers will need to exit Kanopy Kids to watch any videos meant for viewers aged 12+. As an optional layer of protection, parents can create a 4-digit PIN to ensure that kids only have access to age-appropriate videos. 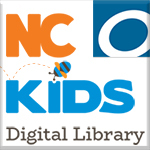 Designed for kids in pre-K through 4th grade, NC Kids Digital Library includes eBooks, audiobooks, videos and Read-Alongs you can access online or through the OverDrive app, from virtually any computer, tablet, or smartphone. These materials are instantly available for anyone with a library card and internet access via a computer, tablet, or smartphone. For more information about the OverDrive App, visit our eBooks page. 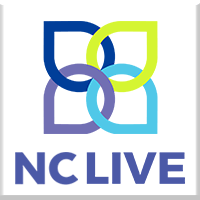 Your Library Card provides you with access to over 5 million library resources from libraries across the state! You can find and check out DVDs and BluRays at any of our libraries for $1 for a week, or you can search videos in our catalog online and have items sent to YOUR home library.